Granite is a normal stone, which is used to make floors, countertops, sinks, and many items in both interior and exterior purposes. Because of the qualities of durability and scratch resistant, it is a very popular choice for all the architects of the building. Now granite countertops have become a popular choice to the homeowners. They are also remodeling their kitchens with granite countertops. But some of the homeowners have few wrong ideas that granite countertops can stand to anything. It is right that granite countertops are durable and they can resist heat, scratches. But they require special care to maintain their shine and beauty. Granite is an important ornamental and structural stone. It is used for huge structural work due to its extensive strength and durability. Granite is used for making long lasting memorials and for trimming and decorating the buildings. Granite is an igneous rock. It is durable and extreme tough in nature. So, it is widely used in exterior and interior purposes. Granites are available in various colors. And the colors depend on its mineralogy. The colors differ from black to blue and red to brown etc. Steel gray granite is one of the most common variations among the granites. Granite has conquered lots of obstacles and has become a popular choice as building materials. Granite is a long lasting material and requires low maintenance. Many homeowners use granite for these qualities. Granites are also available in different colors. is one of the popular choices. Royal cream granite originates in India. 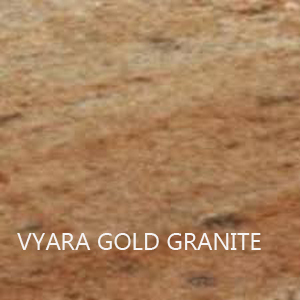 And Indian royal cream granite is also recognized as Royal Granite. This particular granite is available in cream color. Granite is known across the globe as a building material. There are some regions, which are better known as granite producing countries, like Norway, Brazil, India, and a few regions of Spain and some parts of the United States. Granites are igneous rocks that consist of feldspar, quartz, and mica. Natural shades of the granite vary from gray to pink to make it trendy as designing stone. Mokalsar green granite is one of the popular choices among the green granite variation. Usually, the green granites are very much trendy and attractive as well as it is enduring and adaptable design ingredient for all parts of your home. Granite is durable and extreme hard by nature. And these are the main causes which have made it popular to the people. There are large variations of granite color. So, the home owners pick the proper color for their interior and exterior décor. The glossy and speckled appearances of polished granite adjoin a luxurious appeal to any home décor. Granite is a natural stone. It is extremely scratch, stain and heat resistant. Granite is traditionally preferred as countertop materials for its unique colors and patterns. Granite has also proven hardiness and long- lasting value. For these reasons, pick up granite is justified if permanence is foremost requirements. 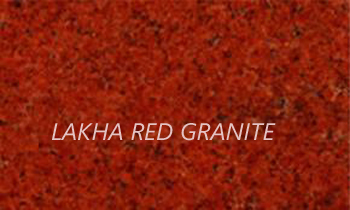 Red granites are preferred in Asian countries for interior and exterior decoration. Because it offer rich, remarkable and passionate appearance in any kind of decor. Red granite is carrying the richest history of using it in the ancient Egyptian pyramids both in structural and decorative fashions. There are different colors of granites and green is one of the accepted choices among them. Because, green granites are very stylish as well as eye-catching. Besides, it is extremely hard and has different home designing elements. 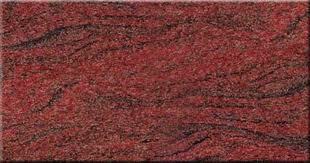 Granite is striking and durable stone which is widely used as countertops and floors in the homes. But sooner or later, it gets dirty. Though granite is easy to clean, but the harsh or abrasive cleaners and some chemical compositions may harm or fade your granite surfaces. So, use those Granite Cleaners which are safe for granite facades and keep the granites looking beautiful. Granite belongs to normal stone and it is famous for its outstanding strength and permanence. Usually, the thick, flat tiles which are made of granite are called ‘pavers’. Granite pavers are generally installed by the sides of pools, on the walkways or driveways. Granite Pavers usually survive for decades without any kind of continuance. Sometimes, it requires minimum maintenance. 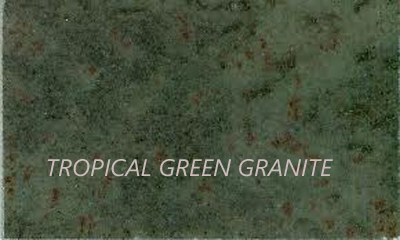 Granites have many variations and Royal Green granite is one of them. It is very popular among the users them. This granite is widely acceptable for its beautiful appearance and durability. There are also many qualities which have made it renowned to all over the world. Granite has ranked its position among the building materials due its viability, durability, and color variations. And Lemon Ice granite is one of the acceptable choices across the globe as countertops and flooring. Brazil is the originator country of this particular granite. It is the light green shaded granite having a small numbers of streaks surrounding the granite. This granite is less porous and has lemon shaded backdrop. Granite countertops play an important role in developing the beauty of your home. However, gradually, it begins to establish its efficiency of protecting the damage against heat, water, and other spilling. Therefore, taking care of the countertops is very much essential to restore it before it is too late to allow complete damage. Are you taking preparation to renovate your kitchen or toilet and going to put in it new countertop there? If so, it is the right time to check out the different options which are accessible in the market, regarding the countertop material, like granite, marble, porcelain and many more.